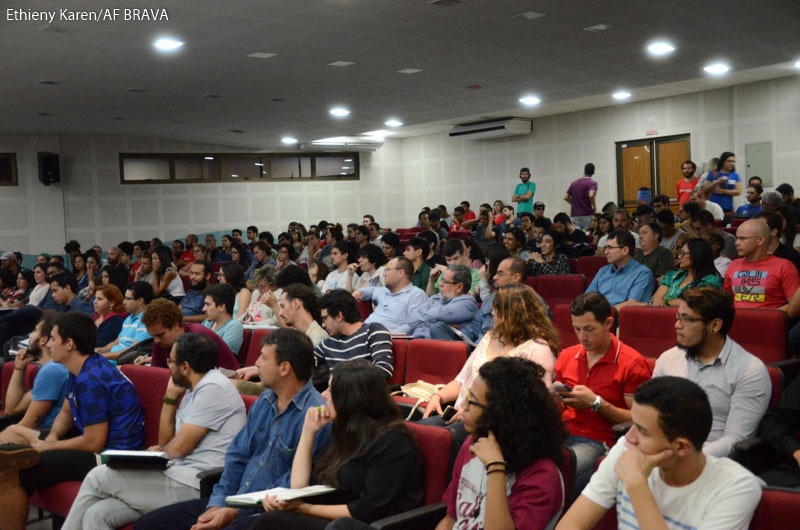 The VII Philosophy Week, held at the Federal University of Mato Grosso do Sul (UFMS), took place from May 29 to June 1. In this edition, the central theme was the "revolutions - origins and transformations", since this year is the centenary of the Russian Revolution. Every day a different strand of revolutions has been worked out, among them, the scientific revolutions, in Latin America and in the feminine. The event included several theater and musical presentations, as well as lectures by UFMS philosophy professors Stefan Krastanov and Erickson Cristiano dos Santos; and history, such as Carlos Prado, also from UFMS. All the lectures were preceded by a round table, guided by undergraduate and master's students from UFMS and the Catholic University of Don Bosco (UCDB). The objective was to broaden the way of thinking of the revolution, not only in the social and political spheres, but to understand the effects in the economic, scientific and cultural spheres, showing the legacy that each of them left in the history of society. The organization was made by the Academic Center of Philosophy (Cafil) of UFMS and had more than 360 enrolled.